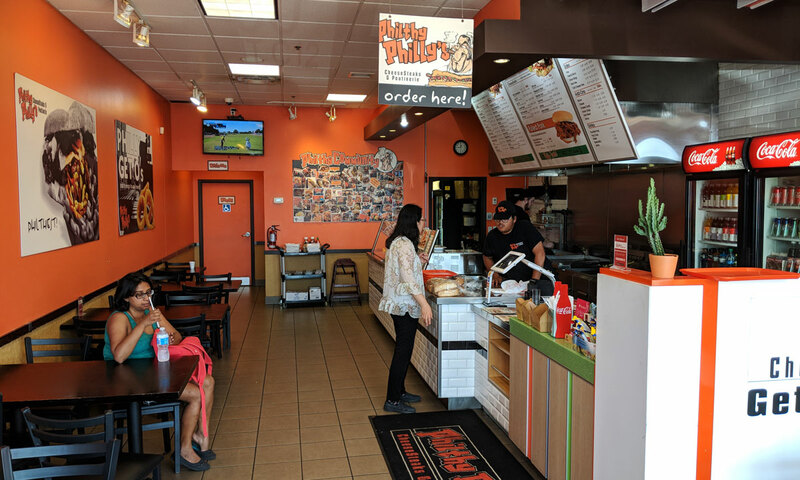 If you’re looking for an authentic Philly cheesesteak in Toronto, I think you’re out of luck. There used to be an amazing place called I Went to Philly; their cheesesteak was dead on. Tragically, it went out of business, breaking cheesesteak-loving hearts across the GTA. 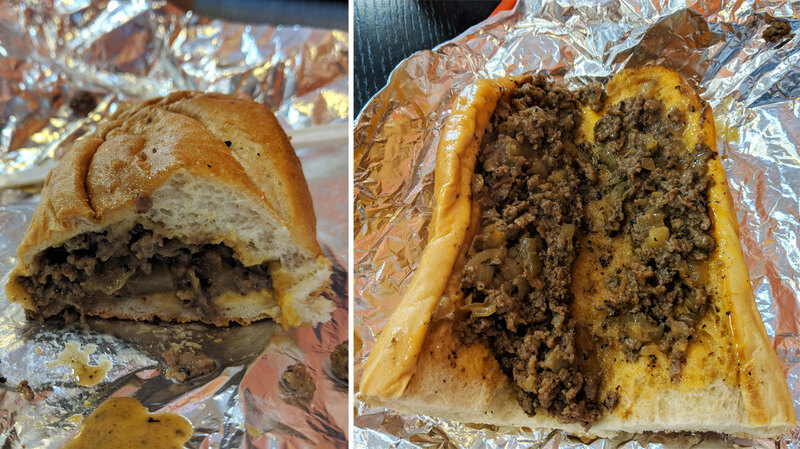 It’s not all that difficult to find a cheesesteak in the city, but it’s almost impossible to find an authentic one; most places clutter it up with extraneous toppings like peppers and mushrooms and other sauces. 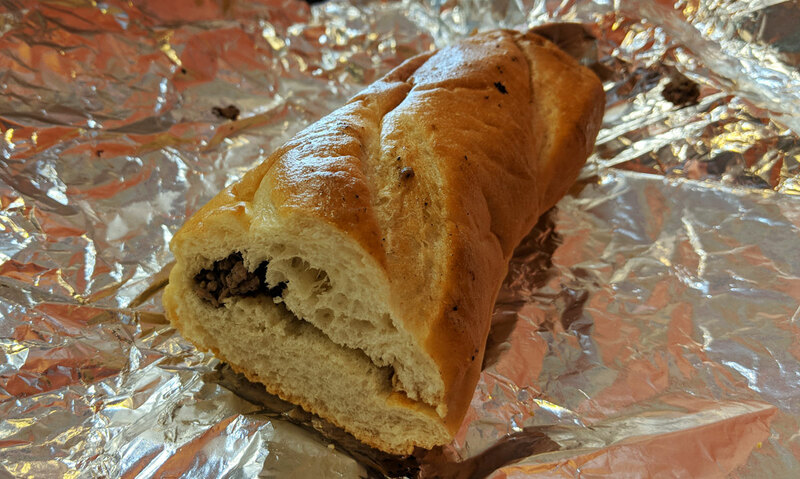 A real-deal Philly cheesesteak should consist of only four things: a roll, steak, griddled onions, and Cheese Wiz (you can substitute provolone if you’re feeling fancy, but really, Wiz is where it’s at). 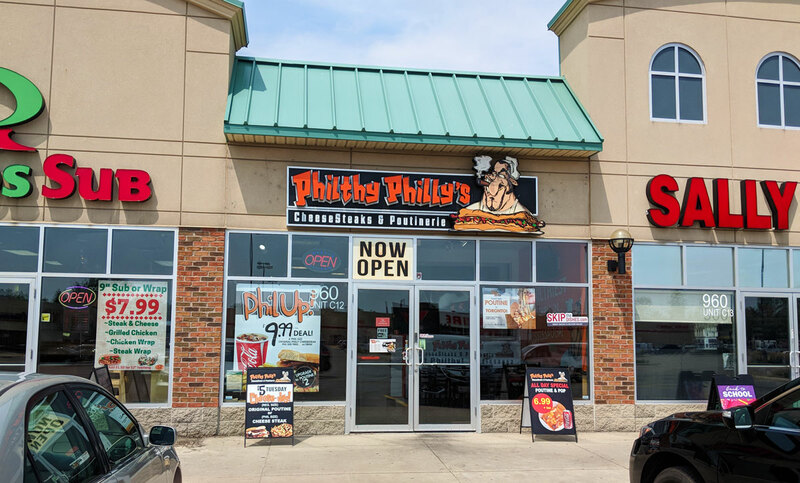 So I was pretty excited to try Philthy Philly’s — they have a ton of stuff on their menu, including a whole bunch of optional toppings, but if you want it, you can get a cheesesteak the way it’s supposed to be. Alas, the cheesesteak here somehow manages to get every single element wrong. It would be impressive if it weren’t so frustrating. The beef was the wrongest part of the whole maelstrom of wrongness. The beef in a Philly cheesesteak should be thinly shaved slices of steak. The meat here, on the other hand, consisted of little pebbly bits of beef that were either ground, or chopped so finely that it may as well have been ground. It also had a chewy, rubbery texture and absolutely zero beefy flavour. It was pretty bad. The “Cheese Wiz” had the consistency of water and zero cheesy tang; the onions had been cooked to the point of being mush. The final insult was the bread; instead of a lightly crispy outside and a fluffy interior, it was just dense and chewy throughout, with zero exterior crispiness. The sandwich was cheap, at least. The smallest size costs just seven bucks, comes on a six inch roll, and is crammed with a generous amount of beef. But I wish they’d charge a little bit more for a higher quality product; as it is, the sandwich is about on par with Subway, and I say that as someone who doesn’t like Subway at all.